Siamsa cois Life will be performed on January 25 in the Riverbank Theatre, Newbridge. Bí linn for a celebration of the best of Irish traditional music, drama and dancing from the students of Gaelcholáiste Chill Dara. The evening will showcase the talents of the students themselves and there will be live performances from our special guests and friends; the wonderful Luka Bloom, and Kildare's finest traditional group, Cathú. Comedian Paddy McDonnell, who appears regularly on our TV screens in Naked Camera, Stew and notably as Eoin McLove in Father Ted will also be on hand to present the evening's entertainment. Bí linn d�oíche siamsúil le daltaí agus cairde ó Ghaelcholáiste Chill Dara a bheidh ag ceilúradh ár n-oidhreacht traidisiúnta féin chomh maith le cultúr na Meanscolaíocht trí Ghaeilge anseo i gCill Dara. Beidh idir amhránaíocht, drámaíocht, ceol agus damhsa den chéad scoth le feiceáil óna daltaí agus tá an Gaelcholáiste fíor bhuíoch do Luka Bloom agus do Cathú as seinm ag an ócáid iontach seo. Ceol agus cultur duchasach aos og Chill Dara. Bi linn d'oiche saoithiuil le dalta� agus cairde o Ghaelcholaiste Chill Dara a bheidh ag ceiluradh ar n-oidhreacht traidisiunta fein chomh maith le cultur na Meanscola�ocht tri Ghaeilge anseo i gCill Dara. Beidh idir amhranaiocht, dramaiocht, ceol agus damhsa den chead scoth le feiceail o na daltai agus ta an Mheanscoil fior bhuioch do Luka Bloom agus do Cathu as tacu linn ar an ocaid iontach seo. The lighting of a special flame in the centre of Kildare town will mark the official opening of Feile Bride at the beginning of next month and will symbolise the strong links between the town and Brigid. It will be lit in a special afternoon ceremony marking St. Brigid's Day on Wednesday February 1 starting at 2.30 pm. "The county council have created a beautiful structure in which the flame will be housed. 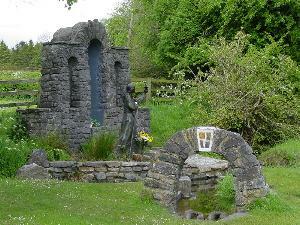 It is described as a twisted column which flourishes at the top into a large-scale oak leaves nestled into which is a bronze acorn cup holding the flame," said Sr. Mary Minihan of the Brigidine Order, which founded the annual Feile. Sr. Mary stressed the importance of linking the past with the present by recalling that an acorn sowed by the Bishop of Kildare and Leighlin Daniel Delaney in Tullow almost 200 years developed into an oak tree. Féile Bhríde, a celebration of Brigid's feast incorporating a Peace and Justice conference in collaboration with Afri (Action from Ireland), workshops, and a candle lit ritual on Brigid's Eve at the well. 8.00 pm "Celebrating the Perpetual Flame of Brigid"
With Noirin Ni Riain, Luka Bloom, Steve Cooney, Laoise Kelly, Ellen Cranitch and other surprise artists! 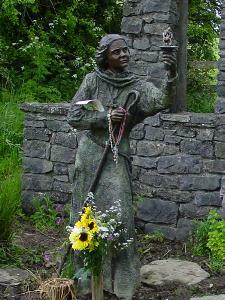 Brigid of Kildare - A great cult surrounded her. Where our rivers run to, who can tell? Top musicians will take to the stage in Whelan's in Dublin to raise money for the Chernobyl Children's Project. Two charity gigs on February 7 and 8, are being organised by Aoife Tunney, the former wife of Liam O Maonlai, the lead singer of Hot House Flowers. The line-up will include Mick Pyro, of The Republic of Loose, Bronagh Gallagher, Nina Hynes, Mundy, Luka Bloom, and Prison Love. However, The Hot House Flowers will not be performing. "They are already booked to play a gig in America," explained Aoife. The money raised will go towards funding an ambulance packed with aid, which Aoife will drive to Belarus in April. By now you've guessed Aoife is not your average supercilious girl-about-town. "My parents were involved in the anti-nuclear movement here in the 1970s - they organised a music festival in Carnsore, Co.Wexford, with stars of the day such as Christy Moore, to help stop a power station being built there." Which brings us neatly to her gigs next week at which respected artists will perform, hopefully raising enough money to pay for the ambulance Aoife will drive to Belarus. "Having a kid kind of focuses you on the well being of other children and over the years I met Adi Roche who inspired to be more aware about what happened at Chernobyl. We need between €15,000 and €20,000 to buy the ambulance - they don't have reliable emergency equipment so bringing this and other practical things is really important." Whelan's of Wexford Street plays host to special charity concerts over the next two nights in support of the people of Belarus. Mick Pyro of Republic of Loose, Commitments star Bronagh Gallagher and singer-songwriter Nina Hynes take to the stage at the Dublin venue tonight. Tomorrow's line up features Mundy, Luka Bloom and Colin Devlin. Charity organiser Aoife Tunney will drive an ambulance full of aid to Belarus in April. She will be part of the 20th Anniversary Convoy to the area suffering from the world's worst nuclear disaster. These concerts are being held so she can raise funds to buy the ambulance. nuclear disaster, and the suffering of the people in this area need our help more than ever. all artists are supporting this effort free of charge. Ceol '06 contains 26 breathtaking songs in Irish put together by some of the best singers and bands in the music industry. These artists include The Corrs, The Saw Doctors, Mundy, The Frames, Luka Bloom (Cathair Mhór Chicago), The Waterboys, and many more. The launch of this CD will take place on Saturday 4th March with a concert featuring a number of the artists performing on the album including The Revs, The Pale, Q, Traic and The Fuschia Band. All profits from the night and the CDs will be donated to Concern to help with educational projects in Mozambique (last year Seachtain na Gaeilge raised �20,000 for Mozambique and this year we believe that they can double the amount with your help!). Seachtain na Gaeilge runs from 4th to 17th March. CEOL '06 will be available from Concern and from music shops from Friday, 3rd of March. CEOL '06 contains a selection of breathtaking songs in Irish put together by some of the best singers and bands in the music industry. The Irish language belongs to all and these CDs show that there are many different ways to use it. All profits from these CDs will be donated to Concern to help with educational projects in Mozambique (last year we raised €20,000 for Mozambique and this year we believe that we can double the amount with your help!). The double album will be released on the 3rd of March 2006. The Seachtain na Gaeilge CD CEOL '06, containing songs by some of the top stars of Irish music (including The Frames, The Waterboys, Luka Bloom, Aslan, Kila, The Frank & Walters, Iarla Ó Lionáird, Mundy, The Saw Doctors, The Revs, John Spillane, Autamata, Lisa Hannigan, Traic, The Pale, Emmet Tinley, Roesy, Morgan The Bouncer, Ger Wolfe, Fuschia, The Mongrels, and more), will be launched officially at this event and some of the musicians and singers appearing on the album will perform on the night. There will be more information regarding the special guests available at www.snag.ie nearer the time of the event. More moving with every album he makes... There's an unrivalled tenderness to Luka Bloom's enchanting, earnest songwriting - his musical and lyrical delivery possesses that special charm. Deft, delicate touch on the six-string and distinguishable Irish lilt in his honeyed vocals draws you in immediately. 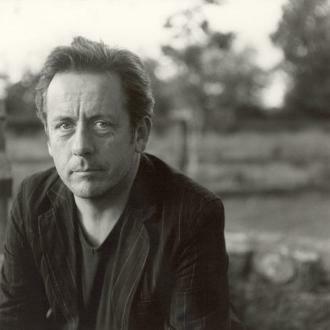 Luka Bloom undertook his first tour as a performer at the tender age of 14, touring English folk clubs alongside older brother Christy Moore. So began an illustrious career which has seen him play venues around the world. Last year Luka released one of his best albums in years with the deeply personal Innocence and he has continued to be a renaissance man. The coming weeks will see his album released in America but before that he will play an intimate Sunday afternoon gig at Campbell's Tavern, Cloughanover, on Sunday at 3.30pm. Innocence was well received in Ireland and saw Luka claiming a high position in the Irish album charts. It contains many memorable songs such as the emigrant's lament 'City of Chicago', 'No Matter Where You Go, There You Are', the title track, and the inspirational 'Miracle Cure'. Luka says of the album and the album title: "The reason why I called it Innocence is because I'd just turned 50. There's two different types of innocence - there is the innocence of youth and there is what I would call the innocence of choice." In explaining the term 'innocence of choice' Luka elaborates: "In life you meet people who are say 60 or 70 years old and the world has really kicked them around but they still seem to have a sense of joy in life and a hope for the future. As a songwriter in order for me to access the part of me that writes songs that 'innocence of choice' has to remain. Despite disappointments, despite let downs, and despite being hurt by life one has to choose to hold on to this essential ingredient of innocence." Persons who choose a life in the arts and music must constantly deal with disappointments and knocks along the way. As a live performer Luka has struggled with tendonitis in his hands for the greater part of 20 years. In 2003 his years of battling with the affliction came to a head. "I suffered very severe tendonitis in my right hand and within a few months I also developed nodules on my vocal chords," he tells me. "Having just built a new house in the country it was not what I needed at that moment with the bills flying in the door!" Luka's song 'Miracle Cure' goes some way to describing the situation of his not being able to work as a musician for a long period. "Some very creative stuff came out of that time," he says. "The style of playing and singing that I'd been engaged in over the previous 30 years had been very full on. When I came to the point where I couldn't perform any more it forced me to discover a new way of performing and singing. I found myself completely scrapping my entire repertoire and literally starting from scratch again. I arrived at a place where I either had to change what I was doing or to stop completely, and I chose to change. I've found that my new quieter style of playing has been enormously satisfying to me." Having regained his health and vitality Luka was reborn with his current album. Innocence is getting a great reaction in America and Bloom is due to undertake a seven week tour there soon. He admits he is in no immediate hurry to record a new album. "I'm going to give this album the opportunity that it deserves," he says. "I feel a great connection to the songs on the album and I think there's something about them that was a long time coming. For me it's a sort of transitional album - it's very different from anything I've done before. It'll probably be about a year before I even think about recording another album. I'm just going to honour this one for a while yet." Luka Bloom has played everywhere from Boston to Brisbane in his 36 year career and remains one of the most vibrant live performers in the music world. Throughout the ups and downs of his life on the road he has maintained his innocence and thrived upon the positive vibes it has given him. For tickets to Luka Bloom contact Campbell's on 093-35454 or Mulligan Records. on Tuesday 21st March 2006 at 8.00pm. Raffle prizes will be available on the night. A musical extravaganza called 'Voices Across Cultures' is being organised by Optimum Point Consultancy - the organisation that promotes cross-cultural understanding in association with Midlands 103. The concert which commemorates 'International Day for the Elimination of Racial Discrimination' features music from Romania, Slovakia, Poland, Hungary, Jamaica, Nigeria, Pakistan and Ireland as well as Real Celtic Riverdance, Gospel music and some of our finest solo artistes. The aim of the concert according to the organiser, Councillor Rotimi Adebari is to use music - a universal language that cut across boundaries as a unifying tool to bring people of different cultures, nationalities, colour and creeds together in a relaxed atmosphere. A multicultural festival of music, song and dance was held in the Dunamaise Arts Centre, Portlaoise last week. The event commenced with Portlaoise artist Seán O'Reilly leading the large attendance in his rendition of the popular song 'If you're Irish come into the Parlour'. Among the highlights of the night was the Romanian artiste Carol Aflat.... A gospel choir, made up of representatives from all the different Christian denominations in Portlaoise..... Students of the Gabrielle Lynam School of Dance livened up the arts centre with their Real Celtic Riverdance and Heywood College students also entertained the audience with traditional Irish music. Luka Bloom brought his uniqueness to the stage with inspiring messages and songs. He quoted from his song that was inspired by Nelson Mandela: "It is not the darkness that we are afraid of but the light that shines within us". He also sang about an Algerian man who made wooden boxes and now lives in Galway after fleeing his home country. ...The night featured music from Romania, Slovakia, Poland, Hungary, Jamaica, Nigeria, Ireland as well as traditional Irish music, Real Celtic Riverdance and Gospel Music. Earlier in the evening, guests were treated to a reception during which the organiser of the event Portlaoise Town Councillor Rotimi Adebari described Voices Across Cultures as a one-stop resource centre that promotes cross-cultural understanding and provide answers to questions asked during cross-cultural contacts..... Thanking those who attended Mr Adebari praised the efforts of all the artistes for their wonderful performance and thanked the organisations that supported the concert.... For more information about Voices Across Cultures visit their web-site at www.voicesacrosscultures.com. From pubs to festivals, arenas to dives, Luka Bloom has spent the last 36 years of his life perfecting his craft all across the globe. Since touring the English folk circuit with Christy Moore at the age of 14 the 'godfather of the Irish singer-songwriter scene' has gone on to share the stage with the likes of The Pogues, The Violent Femmes, The Dixie Chicks, The Hothouse Flowers, The Cowboy Junkies and The Frames. With the 2005 release of the album 'Innocence', Luka has proved that his songs are as resilient, poignant and passionate today as they ever were, thus earning him a legion of new fans as well as delighting his faithful followers. Luka Bloom - A LEGEND!!! Tickets: €15 - Book Early!! 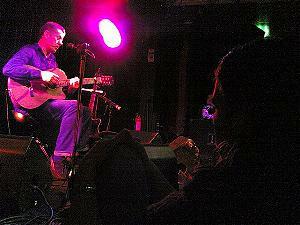 Luka Bloom fans were once again treated to an intimate gig in the back theatre in Cleeres on Thursday last. Fans old and new drank in his haunting melodies and inspiring lyrics at the packed out concert in the popular venue. Luka played some good old reliables such as 'Make you feel my love' and 'I am not at war with anyone.' He also played a selection from his new album 'Innocence' which was just released in America on Wednesday last. He told the riveted audience that he was very excited that one year after the album had been released in Ireland - it was finally released in the US. Luka sang a number of beautiful tracks from 'Innocence' including 'Primavera', 'Gypsy Music', 'City of Chicago', 'Thank You For Bringing me here' and 'Innocence'. All of his songs were accompanied by anecdotes about his inspiration for the words. 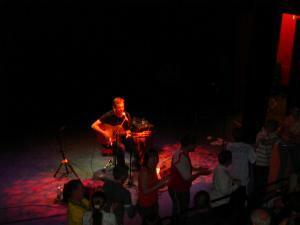 Fans in Cleeres were mesmerised by his vocals and his expert guitar playing on the tiny stage. Luka would be well used to playing to huge crowds particularly in the US, however, the small, intimate venue of Cleeres back-room provided the perfect atmosphere to hear the legendary singer/songwriter at his best. Luka remembered the old days when he spent time in Kilkenny and Castlecomer, while climbing up the ranks of the music business as a young musician. Having now tread the boards of stages all over the globe, 36 years of craft honing has given Luka Bloom a place on the music map. Bewley's Cafe Theatre, located in the former Oriental Room of the Grafton Street Cafe, is Dublin's foremost stage for lunchtime drama and one of the city's most exciting venues for evening cabaret, jazz and comedy. Saturday 15th July 2006. Tuesday to Saturday 11am to 5pm. Admission is free and all are welcome. 058/48944. There were both musical and artistic delights at the launch of the new exhibitions in the Old Market House Arts Centre, Dungarvan, Co. Waterford recently. �Unexpected� is a series of new paintings by Tramore artist John Cullinan. John was both a student and teacher in the Limerick School of Art. John spent eight years in West Clare, which he feels enhanced his appreciation of nature and landscape. Following a move to Waterford John spent a number of years teaching art in De La Salle College but ill health intervened and he did not paint for some time. He retired in 1998 and has been painting steadily since 2000. His profile has rapidly expanded since then and he has been exhibiting very successfully. �Silhouettes of Summer� is an exhibition of bog oak and glass sculpture by Kildare artist Brian O�Loughlin. The bog oak is sourced mainly in the midlands, in the bog of Allen, and it�s hinterlands. The wood is brought to Brian�s store and air dried for a minimum of three years. In selecting a piece for work Brian must first sense its inner potential, beyond its haggard, rough, flaky exterior. When the rough exterior is removed, the shape below is cut and handcarved, respecting its natural lines and fissures until the final form emerges. After a repeated process of sanding and polishing other medium may be added (eg. bronze, gold leaf, glass, feathers, etc. ), and thus the process is complete. There is a synergy between Brian and the bog oak, he changes the character quite substantially all the while retaining and enhancing it natural grain, colour and form. In the upstairs gallery Seomra de Paor, �Market 06� features a selection of work by various artists. This month there is new work by Tramore artist Tom Molloy Snr., Cork artist Fiona Harrington, Mayo artists Michael Absalom and Anthony Pilbro. Margaret Organ, Co. Arts Officer welcomed everyone and congratulated the exhibiting artists on their work. 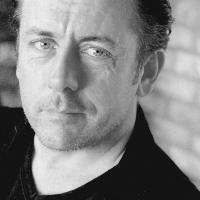 The Kildare born singer/songwriter Luka Bloom was guest speaker on the evening. Luka delighted the gathered crowd by performing two songs, including the aptly named �I am a Bogman�. He spoke of how he met Kildare artist Brian O�Loughlin earlier in the year, when he was presented with one of Brian�s pieces. Luka spoke about how he was very taken by the beauty of Brian�s work. He also praised John Cullinan for his striking work and for the amazing palette of colour he uses to alter our perception of traditional subjects. These exhibitions continue until Saturday 15th July 2006. The Arts Centre is open during the summer months from Tuesday to Saturday 10am - 5pm. Admission is free. There were both musical and artistic delights at the launch of the new exhibitions in the Old Market House Arts Centre, Dungarvan, when a series of new paintings by Tramore artist John Cullinan entitled "Unexpected" was unveiled and the Kildare born singer/songwriter Luka Bloom, guest speaker on the evening, also delighted the gathered crowd by performing two songs, including the aptly named "I am a Bogman"..... The exhibitions continue until Saturday 15th July. Admission is free. which is in the process of developing Kildare's first youth café. World Famous Singer/Songwriter Luka Bloom has agreed to play a gig in The Riverbank Arts Centre Newbridge on June 23rd 2006 to raise money for the Youth Project. All the money raised will go into the set up of the Youth Café. We would like to thank Luka for this kind offer of support as we know he is a busy man. Luka Bloom in Curragh Kids benefit gig. Luka Bloom is set to play a gig for the young people of the Curragh Camp. On Friday, 23 June at 8pm, Luka will take to the stage in the Riverbank Arts Centre in aid of the Curragh Youth Project which is in the process of developing Kildare's first youth café. The café will solely operate for young people and will be run by young people, for young people. Tickets are on sale at the box office in the Riverbank Arts Centre Telephone and credit card bookings (045) 448333. The handover of a former military building this month will mark the start of a new era for young people living in the Curragh area. Once seen as a forgotten spot on Kildare's map, the community in the Curragh Camp has been rejuvenated in recent times by a number of ventures. Chief among these is the Curragh Youth Project, based in the camp and now providing a range of services for young people. In June, the former NCOs' mess in McDonagh will be taken over by the youth project, with an expansion of facilities to include a caf� run by young people, exclusively for young people. As youth project coordinator Mick O'Brien explained, the project currently caters for around 70 teenagers, offering after-school activities ranging from sports or arts and crafts to social activities and educational programmes, including drug and alcohol awareness......... The idea for the youth café came from the young people themselves. It will be run as a non-profit-making enterprise by the teenagers and those involved will receive advice and help, including training in small business management. An internet facility, playstations, pool tables, a juke box, musical instruments and an arts and crafts room are just some of the additional facilities that the new premises will offer. It can also be used for meetings, homework clubs and other community purposes. The start-up costs will total €20,000, according to Mick, who runs the youth project with the help of Community Employment Scheme workers John Whyte and Carly McNulty. One of the major fundraisers will be a concert by Luka Bloom at Newbridge's Riverbank Arts Centre on 23 June. "Luka came to visit the project last year and was impressed, so he wanted to do something. The concert will be his first gig back in Ireland after a ten-week tour of the US, so we are hoping for a really great turnout." Following renovation work on the McDonagh building over the summer, it is hoped the youth café will open its doors in October.... He concluded by expressing the hope that continued funding would be found for the future running of the project. Doors Open 2.00pm - Bring your own picnic! On Sat 24th & Sun 25th June Loughcrew Gardens presents the Third Loughcrew Jazz & Blues Festival. Following on the success of Loughcrew Garden Opera, which has introduced quality opera to a whole new audience outside Dublin, Loughcrew Gardens now introduces a variety of blues and jazz music to the midlands. The event provides a platform for emerging jazz talent alongside established favourites. The venue is spectacular ~ the stage has the ruined Plunkett Church as a backdrop, and the open-air auditorium spreads through woods and gardens with marquees and ancient yew trees for emergency shelter. When we discover that we have a short time to live, our lives can change dramatically. A Spiritual Care Centre is being built in southwest Ireland to support people at this most vulnerable time. which raised both the profile of the project locally and funds. "The show that stands out last summer for me, was a magical night in June, on the edge of the southwest of Ireland in County Cork. The place is Dzogchen Beara, near Castletownbere. A buddhist centre in the tibetan tradition, and a truly wonderful place. The occasion was an evening to celebrate plans to build a buddhist care centre for the dying. A lovely evening, sun coming through the window. A lovely crowd; no sound system. very special feelings." The Roundstone Arts Festival will celebrate its 10th birthday in style this year with concerts from Luka Bloom, Jape, and Steve and Joe Wall, as well as nightly trad sessions, art exhibitions, and children's events. This year the Roundstone Arts Festival is putting the festivities into two weekends. From Thursday June 29 to Sunday July 2 it will be music and visual arts events and from Friday July 28 to Sunday 30 it will be literature and music. 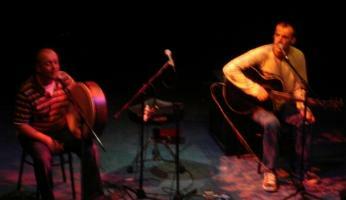 Highlights include the opening night concert with Donegal's finest, Altan. The festival's 10th birthday party takes place throughout Sunday July 2 on Roundstone harbour, with jugglers, beach party cocktail bar, BBQ, and performances from the brilliant singer-songwriter Jape, Cork band Fred, and Dublin's The Mighty Steff. There will also be a special 'In the round' style, with stories and songs from Luka Bloom, Roesy, Noelie McDonnell, and Steve & Joe Wall. The Redneck Manifesto will play the Roundstone festival as will Katell Keineg, Ann Scott, Joe Chester, Sabrina Dinan, Orlagh De Bhaldraithe, The Correlli Quartet, Emmet Scanlan, and The Dirty Epics. 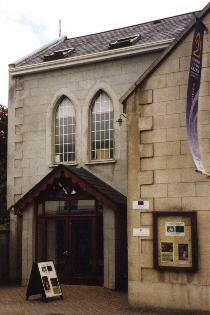 Concerts take place in churches, village halls, living rooms, pubs, and outdoors in the village. Tickets will be limited so it is advisable to purchase them early. Tickets are on sale now and are available from 095-35871 or 095-35960. The annual Roundstone arts festival is celebrating its tenth anniversary this year. Festivities will now take place over two weekends with music and visual arts for the coming weekend of Thursday 29 June to Sunday 2 July; the weekend of Friday 28 July to Sunday 30 July will feature literature and music. Highlights of the festival include an 'In the round' evening, with stories and songs from Luka Bloom, Roesy, Noelie McDonnell and Steve and Joe Wall, all sharing the stage for a one-off night in an intimate setting, while on Sunday, Roundstone Harbour will host jugglers, a beach party cocktail bar, BBQ and music throughout the day including performances from Jape, FRED and The Mighty Steff. The opening night concert features Donegal's finest trad outfit, Altan, while performances from Katell Keineg, Ann Scott, Joe Chester, Sabrina Dinan, Orlagh De Bhaldraithe, Albert Niland and Emmet Scanlan are included among others this year. Back by popular demand 'The Redneck Manifesto' return to the festival after a cracking set last summer. Further information, as well as accommodation details, is available from www.roundstoneartsweek.com. Tickets are available from (095) 35871 or (095) 35960. One of Ireland's finest singer/songwriters, Luka's trademark is his thunderous and exhilarating acoustic guitar playing, his fine voice and his warm and passionate delivery. Having thread the boards of stages all over the globe, 36 years of craft honing has truly given Luka from Newbridge a place on the music map. Luka comes from a family of singers and writers and first went on tour with older brother, Christy Moore when he was just 14 years of age. Turning 50 in 2005, Luka has brought his songs to clubs, theatres, festivals, arenas and dives all over the world. Don't miss this chance to catch Luka Bloom in our intimate venue. Due to a chest infection, Luka is unable to play on Fri 14th July. Apologies to all who had intended to come. We hope to reschedule this concert soon. Ireland for another trip on his acoustic motorbike. Luka Bloom one of the most prolific songwriters is in for a night of socially conscious classics. After 36 years of craft honing troubadour Luka Bloom has taken his place on the music map. One of Ireland's most popular entertainers, Luka will bring his wealth and experience spanning 36 years to Enniscrone next week. His visit to the Benbulben Hotel is one gig along the long road of Luka's career, having tread the boards of stages all over the globe. Like many Irish musicians then, and indeed today, Luka comes from a family of singers and writers, first going on tour with older brother, Christy Moore in 1969. Turning 50 in 2005, Luka has brought his songs to clubs, theatres, festivals, bars and arenas all over the world. Singing his songs around the US, gigging with The Pogues, the Violent Femmes, The Dixie Chicks, Hothouse Flowers and The Cowboy Junkies is all part of the life of Luka Bloom. 2001 was a busy year for Luka, he created Big Sky Records and released The Barry Moore Years, an album of early songs written before 1987. In the same year Luka made Between the Mountain and the Moon, an album of new original songs. In 2003 Amsterdam was released - a live performance from a great night in the Carre Theatre in Amsterdam. In 2004 Before Sleep Comes was recorded. And now comes his latest offering, Innocence. 'City of Chicago' is a song for any Irishman or woman who ever emigrated. 'No matter where you go, there you are' is a song for anyone who ever immigrated into Ireland. 'Peace on Earth' is a song dedicated to the children of Beslan, whose lives were so tragically taken from them. The heartfelt album Innocence was released on February 1, 2005. "The whole story of this album is interesting and different. Life is an endless stream of challenges, and for this singer, the most important ingredient to hang on to is our innocence and wonder at the world," said Luka of this album. Luka is just after playing a gig in the Glens Centre in Manorhamilton and he plays the Benbulben Hotel in Enniscrone on Friday, July 28. Tickets are €20 and the concert begins at 9.30pm. 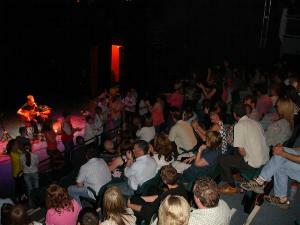 The Bailey Live is a dedicated live entertainment venue. This funky, art deco styled interior together with state of the art sound and lighting systems create one of the most exciting live venues to emerge on the national circuit to date. The line up is equally exciting; the intimate 200 capacity venue will be launched this Friday June 30 by acclaimed musician songwriter and leading lapside guitarist Clive Barnes, sharing the bill with Ireland Meteor award winner 2006 John Spillane. This promises to be a night not to be missed. Check out the full Bailey Live gig listing, which includes award winners Kila, The Walls and chart topping Mundy. Also John Saunders and touring from Nashville the amazing Burrito Deluxe. The August B/H trad special features the legendary Scullion (Fri 4/8) and double bill Ronnie Drew and Eleanor Shanley (Sat 5/8). Another double bill in August bringing the best of Americana country roots-rock is Jeffrey Foucault (Sat 12/8) and another opportunity to catch Enniscorthy's own Clive Barnes. The Fathers of Irish bluegrass the Niall Toner Band (Fri 18/8), with leading singer songwriters Luka Bloom and Meteor Award winner 2004 Roesy (Sat 26/08) finishing off what promises to be the finest Summer line ups on the national circuit. Tickets for all gigs are available from The Bailey. "The Bailey is your one stop shop for all your entertainment, socialising and dining needs. An establishment that has all your requirements for an excellent night out all rolled into one," says General Manager Tony Dempsey "Our aim is to create a venue that will appeal to the young as well as the more mature client."....... The Bailey is bursting with contrasts. Once the bastion of industrial life in Enniscorthy. Now an ultra modern cafe bar, and live venue located in heart of the South East. A place to meet, take in some live music, a social drink/cocktails and of course enjoy a great meal. Absorb the atmosphere, which is relaxed yet very alive with a dash of sophistication and a splash of fun. "Our challenge is to create the ultimate venue, providing the highest standards in our food and beverage offer. To exceed people's expectations, and always creating that 'wow' factor. With a strong emphasis on high service standards and consistency, with professional, friendly, approachable, knowledgeable staff," added Tony. The Bailey is past, present and future with a personality that is both dynamic and addictive- a rare, rare find indeed. The Bailey - an unforgettable experience. 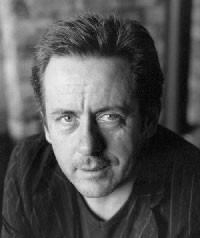 Aug 19 - Luka Bloom - The Bailey, Barrack Street, Enniscorthy - 20 Euro. and music venue. Details soon. 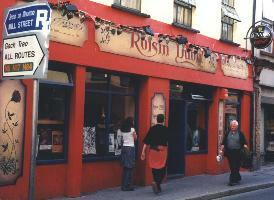 LUKA BLOOM returns to the Roisin Dubh tonight. A master interpreter, Bloom has continued to balance original songs with reinventions of tunes by a diverse range of songwriters, and of course, his distinctive style of guitar playing, often referred to as 'electro acoustic', has won him a huge fan base all over the world. Bloom released his most recent album Innocence in 2005. Many of the songs feature a new found interest in Eastern European gypsy music and other World Music. In his previous work, he relied on steel-stringed guitars that created his distinctive style. His aubergine and yellow guitars were often introduced by name at gigs. The most recent album features a more classical guitar and the resonant plucking associated with that style of instrument. Always a great show. Tickets available from Redlight Records, Mulligan & Roisin Dubh. with reinventions of tunes by a diverse range of songwriters. Having tread the boards of stages all over the globe, 36 years of craft honing has given Luka Bloom from Newbridge a place on the music map. Like many Irish familes then and indeed today Luka comes from a family of singers and writers first going on tour with older brother, Christy Moore, in 1969. 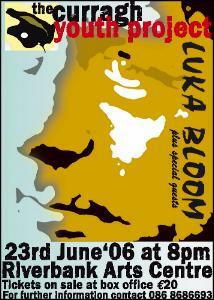 The Venue Theatre Ratoath, this Saturday, presents one of Irelands troubadours, Luka Bloom. Luka comes from a Kildare family of singers and writers, first going on a tour of English folk clubs with older brother, Christy Moore, in 1969, when was fourteen years of age. Turning 50 in 2005, Luka has brought his songs to clubs, theatres, festivals, bars, and arenas all over the world. From McGanns in Boston to The Tivoli in Brisbane to Red Hot Club in Newbridge. He has gigged with The Pogues, Hothouse Flowers, The Cowboy Junkies, signed with Warner Music in Los Angeles, and made Riverside, The Acoustic Motorbike, and Turf. His latest offering is �Innocence�. 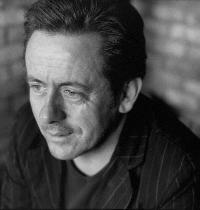 Luka Bloom is appearing at The Venue Theatre in Ratoath on Saturday next, 11th November. For tickets call (01) 689 5600. THE END OF INNOCENCE TOUR. Having tread the boards of stages all over the globe, 36 years of craft honing has truly given this troubadour a place on the music map. Turning 50, Luka has brought his songs to clubs, theatres, festivals, bars, arenas and dives all over the world. His latest offering Innocence was released on February 1st 2005. Autumnal shades pervade Luka Bloom's 10th album, 'Innocence'. All the road miles, pedal rotations and late night concerts have wrought a burnished tint to the man who's given us classics as diverse as the languid 'Sunny Sailor Boy', the lonesome and harrowing 'The City Of Chicago' and the unapologetically defiant 'You'. And now, 10 albums on, Luka Bloom's musical journey has brought him to a place where songs seep from every pore, and melodies celebrate the ordinariness of life. And enmeshed in all the songs, as well as in the two instrumental interludes of Innocence, 'Peace On Earth' and 'Larry Redican's Bow' is the spirit of a musician who's long let go of the cocky defiance of youth, who bears the scars and celebrations of daily life with a comfort born of the same regrets, delights and minor triumphs that we all share. 'No Matter Where You Go, There You Are' sums it up sweetly, on the back of Bloom's trademark uncompromising guitar lines: 'No matter where you go, there you are / So don't let go of what you know to be true'. his return with a delicate ear for the detail. See him at the MOAT THEATRE! 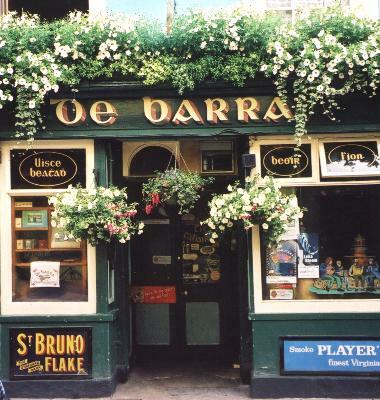 Dublin's original live music venue. The University of Limerick ents season is back in full swing with the return of UL's 10,000 students, and among the line up between now and Christmas in the first visit to the college of Luka Bloom. All tickets available from UL Students� Union. The Riverbank Arts Centre, Newbridge, is hosting a special concert called 'Songs 4 Beslan' on December 14 at 8pm. Admission is €20 and all proceeds go to aid Beslan. Box Office No: (045) 448333. The Beslan school hostage crisis (also referred to as the Beslan school siege or Beslan Massacre) began when armed terrorists took more than 1200 school children and adults hostage on September 1, 2004, at School Number One (SNO) in the Russian town of Beslan in North Ossetia. On the third day of the standoff, gunfire broke out between the hostage-takers and Russian security forces. According to official data, 344 civilians were killed, 186 of them children, and hundreds more wounded. Since Beslan, a wonderful Irishman called Colin Goggins has set up a fund for Beslan. He has a website called www.beslanfund.ie. Colin arranges counselling for the survivors and families of the kids. And he brings some of the kids to Ireland. At Christmas time, we try to add to childrens' lives, and make them feel special and happy. This gig in the Riverbank is a chance for Kildare people to do something really great for a community of children in Russia who have little to be happy about since the massacre at Beslan. Also, it will be a great night of music and songs. Presented by Newbridge man Luka Bloom, the line-up includes Ronan Hally, Jason Donoghue, Eithne Ní Chatháin, Sabrina Dinan, Pat Timmony, Emily Whelan, Conor Byrne, Aoife Kelly, plus more to be announced! Top-ranking artist Luka Bloom will head a line-up of talented performers at a special concert at the Riverbank Arts Centre this Thursday night, 14 December, with the proceeds going to the Beslan Children�s Fund. The massacre of the schoolchildren at Beslan was an event that shook the world but, as is the case with so many tragedies, the spotlight of the world�s media has moved on while those who suffered the consequences of the disaster continue to bear the burden. Newbridge-born artist Luka Bloom (Barry Moore) became involved in fundraising for the Beslan families at the behest of Irishman Colin Goggins, who set up the Beslan fund and has given a huge amount of his personal time and energy to the cause. The aim of the concert and other fundraising events is to try and help the Beslan community, and especially the children (many of whom are still traumatised) to have a hopeful Christmas. Local people are asked to support Luka and his follow performers, Ronan Hally, Jason Donoghue, Eithne Ní Chatháin, Sabrina Dinan, Conor Byrne, Pat Timmony and Aoife Kelly by attending the Riverbank concert and providing much needed funds for this tragedy-stricken Russian community. The show starts at 8pm on Thursday evening, 14 December, and tickets at €20 can be booked by contacting the Riverbank on 045 448333. 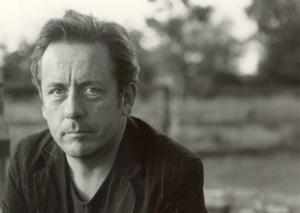 Luka Bloom wrote an instrumental piece of music inspired by the Beslan massacre. 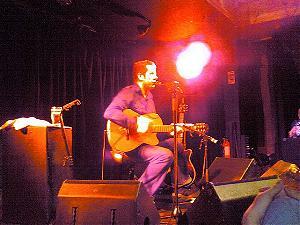 at some of his gigs. We look forward to possibly working together next year.